Former Colombian President Alvaro Uribe announced on Wednesday that he will be seeking a referendum to force changes to an ongoing peace process with demobilized FARC rebels. The former president, whose family has been linked to war crimes relating to Colombia’s 50-year war with the FARC, has been resisting peace efforts since talks were announced in 2012. In a tweet on Wednesday, Uribe wrote “Santos must know that we are facing the surrender of our country to the Farc,” followed by a list of the causes he was supporting. Uribe has long opposed the country’s peace process, and led the “No” campaign that won by a razor-thin margin in the country’s referendum on an initial peace agreement in October. A revised version of the deal was later ratified through Congress. The ex-president has backed away from his previous position against any negotiations with the FARC, but argues that the agreement in its current form is not acceptable. As part of his crusade against the peace deal, Uribe has also called for a recall of the legislative act that would create the Special Jurisdiction for Peace (JEP), a transitional justice system tasked with truth-telling and sentencing human rights abusers. He says the agreement, under which individuals convicted of crimes are expected to serve five to eight years, is too lenient on guerrillas. Uncooperative parties, or those found guilty of committing crimes against humanity, could serve 20 or more years in jail. Retired commanders of the Colombian military have also expressed their concern regarding the JEP, which the senate will begin reviewing by the end of this week. In a letter addressed to President Juan Manuel Santos, the Association of Retired Military Officials argued that some of the judges assigned to the JEP were leftist sympathizers. Uribe has also made similar remarks, citing a lack of clarity in the criterion for the selection of the judges. But soldiers who are currently imprisoned for war-related crimes have expressed their support for the agreement, as they would benefit from the transitional justice deal. 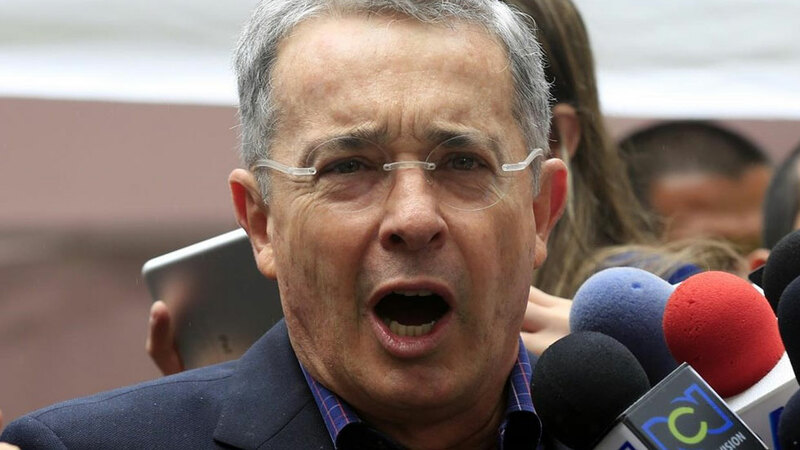 The Democratic Center will also support ongoing government efforts against corruption in the country, according to Uribe, who was hospitalized this past weekend for a prostate surgery.